Ye might like the attached picture. 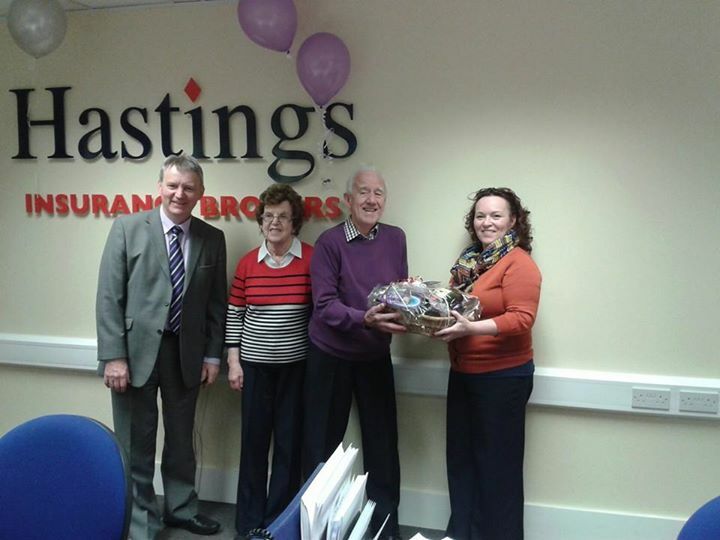 My dad Padraic, from Greenfields, Pontoon Road, recently stopped driving (on age grounds) and was really chuffed when Hastings Insurance decided to surprise him with an acknowledgement of his accident free driving, which covered a span of 60 years. Unfortunately neither of his sons can claim such a record!! He is seen in the picture with his wife Bernie and the staff at Hastings. Padraic McDonald - 60 years accident free driving.